The rawr trend is back again babes! The roaring print has never really gone away and has been an iconic pop trend is many tv and celeb red carpets appearances. The print has always been a closet must have for women of all generations. It is iconic in its own right and has evolved throughout time. It was all the rage during the roaring 1920's era and in the 1960's was made into everyone's favorite matchy matchy accessories. In the millennium fashionistas were mixing prints and spots were made larger. One of my favorite boldest prints has always been animal print. I have always loved leopard and snake print. 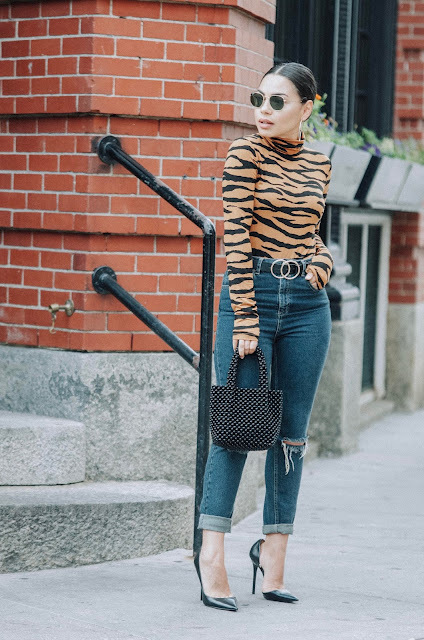 Whether you wear leopard or animal print as a top, coat, or an accessory to your outfit, it elevates your outfits and looks amazing. If your bold you can try out a matchy two piece set or a bold belted coat or a fun pair of boots. I just recently found an animal print skirt to be trendy on a lot of websites. I recently purchased one from target and I can't wait to post it soon for you guys! Stay tuned for that Day to night look! Shop below and check out some gorgeous animal print pieces I picked out for you guys! This is my favorite part of sharing outfit post. I feel like a virtual stylist for you guys! I love it!